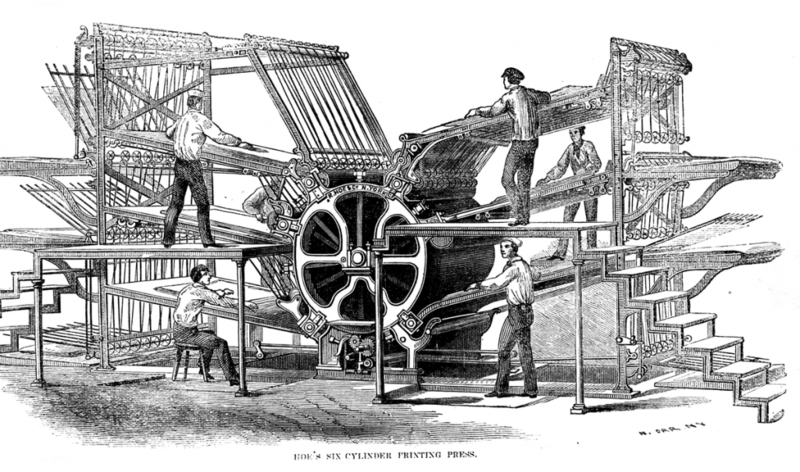 The American Printing History Association’s 42nd annual conference will be held jointly with the Center for Historic American Visual Culture (CHAViC) at the American Antiquarian Society (AAS) in Worcester, Massachusetts, October 6–7, 2017, with a post-conference event on October 8 at the Museum of Printing in Haverhill, Massachusetts. Please join us amidst a colorful New England autumn at the institution founded in 1812 by Revolutionary War patriot and printer Isaiah Thomas for exploration of the production, distribution, reception, and survival of printed words and images in America to 1900. The goal of clear communication was often coupled with a deadline and a budget. In the face of these constraints, printers used the materials and equipment at their disposal to design and produce necessary items in the service of democracy, education, science, commerce, entertainment, and the arts. The inventiveness and problem solving resulted in work ranging from the pedestrian to the sublime and that might, when considered carefully, offer lessons for today’s communications environment. How can the past inform the present and the future? How can the study of continuity and change through printing history inform contemporary design? Conference registration is $100 ($65 for current students) and includes admission to all panel presentations, optional pre-conference tours of Antiquarian Hall at the AAS, a cocktail and substantial hors d’oeuvre reception on Friday evening, a box lunch on Saturday, and an optional post-conference event at the Museum of Printing on Sunday. Registration for this year’s joint conference, including the pre-conference tours, with a means to pay securely is here. Registration for the visit to the Museum of Printing is at the APHA website, here. The American Antiquarian Society is located at: 185 Salisbury Street, Worcester, Massachusetts 01609, 508–755–5221. Extensive travel and transportation information is available at the AAS website, here. Autumn leaf gazing makes October a popular time to visit New England and you are encouraged to make your travel reservations early! A block of rooms has been set aside at the Worcester Holiday Inn Express at 110 Summer Street. The rate is $155 per night (plus applicable taxes), breakfast included, and is available for October 5, 6, and 7. The hotel is a walkable 1.2 miles from the conference events at the American Antiquarian Society and Worcester Polytechnic Institute. (Free parking is available at the hotel, and at the AAS parking lot located at 90 Park Ave.) To make a reservation online, enter the group code CHA. To make a reservation by phone, call 855/914-9635 and ask for the “CHAViC Conference” rate. This rate is good through September 3, 2017, but a limited number of rooms are available, and we recommend reserving early. 6:00 pm: Optional gathering for drinks and further discussion. Details TBA. The Museum of Printing is “dedicated to preserving the rich history of the graphic arts, printing and typesetting technology, and printing craftsmanship.” Founded in 1978, the Museum houses printing and typesetting equipment from the foundry era and hand composition, to hot metal machine linecasting, to the world’s only “cold metal” phototypesetting machine display, to office communication equipment including Mimeograph and typewriters. The carefully curated displays are combined with an art gallery, two beautiful libraries, a printing workshop, and gift shop. Frank Romano, Museum of Printing president and RIT Professor Emeritus, and the Friends of the Museum of Printing have generously set aside Sunday, October 8, 2017, between 10 am and 3 pm for a post-conference event you won’t want to miss. Tours, programs on Typographic Oddities and Preserving the Past for the Future, a staffed workshop (featuring three Vandercooks, a Gordon platen, and two showcard presses) with opportunities for hands-on keepsake printing ($5 donation), time to browse libraries filled with extraordinary books and ephemera, and gallery exhibits. Refreshments and lunch are included. Admission for the day is free, but registration is required and this event is limited to 60 participants. Transportation to and from the Museum of Printing from the Holiday Inn Express in Worcester is available for $35 per person. The bus departs the hotel at 9 am, and departs the Museum of Printing at 2 pm. You will be asked during the online registration if you would like to sign up for the bus ride. Register here. Tours of Antiquarian Hall at the AAS are available starting at 11 am Friday, October 6. Tours are free, space is limited, and registration is required. You will be asked during the online registration if you are interested in signing up. The post-conference event at the Museum of Printing on Sunday, October 8, between 10 am and 3 pm includes tours of the exhibits and libraries. See Sunday details above. The Worcester Art Museum houses a collection of 35,000 works of art and is a short walk (0.6 miles) from the AAS. Open at 11 am Wednesday through Friday, and at 10 am on Saturday and Sunday, it has a café open for lunch between 11:30 and 2 pm. The American Antiquarian Society was founded in 1812 and is a both a learned society and a major independent research library. Located in the midst of a region dotted with sites related to printing and book history, the library houses the largest and most accessible collection of books, pamphlets, broadsides, newspapers, periodicals, music, and graphic arts material printed through 1876 in what is now the United States. Established in 2005, the Center for Historic American Visual Culture (CHAViC) at the AAS provides opportunities for educators to learn about American visual culture and resources, promotes the awareness of AAS collections, and stimulates research and intellectual inquiry into American visual materials. CHAViC accomplishes these goals by offering fellowships, exhibitions, workshops and seminars, conferences, resources, and improved access to AAS collections. We thank the Museum of Printing, APHA New England Chapter, and the Gladys Krieble Delmas Foundation , for their generous support.